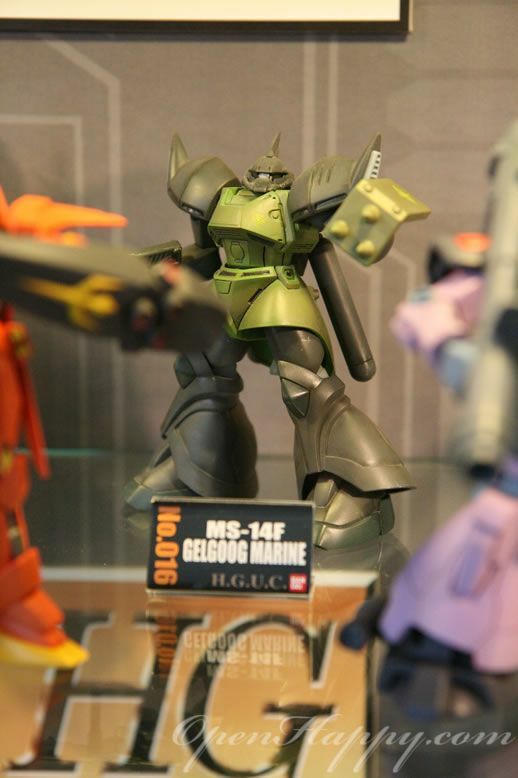 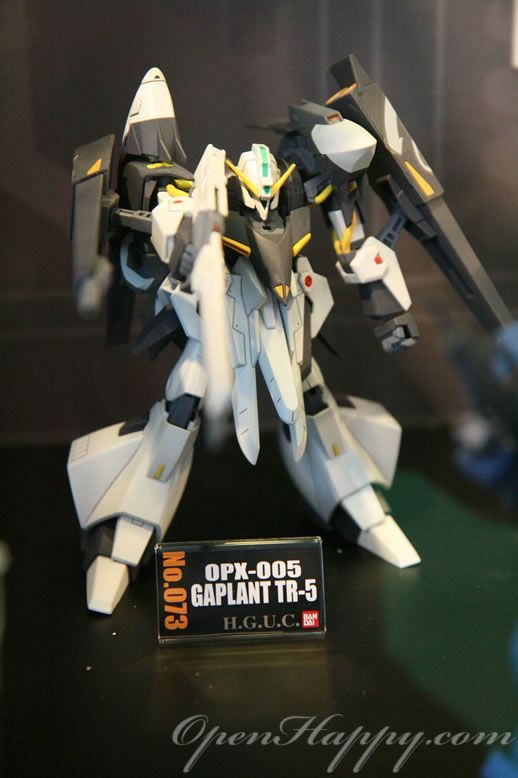 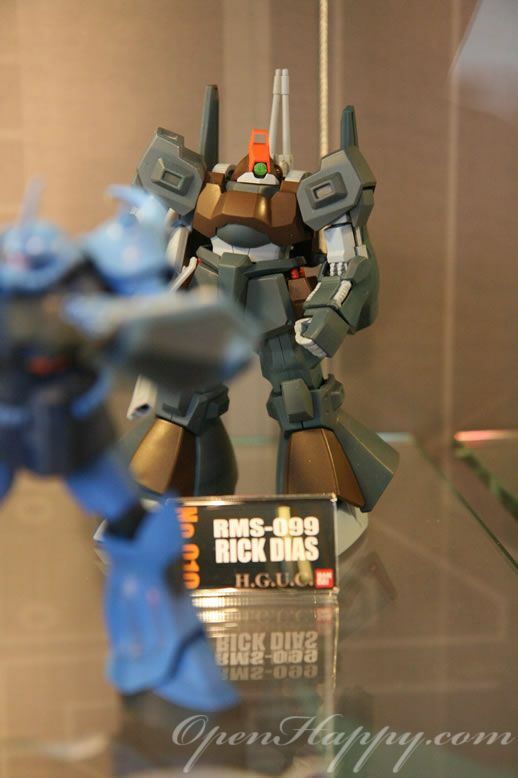 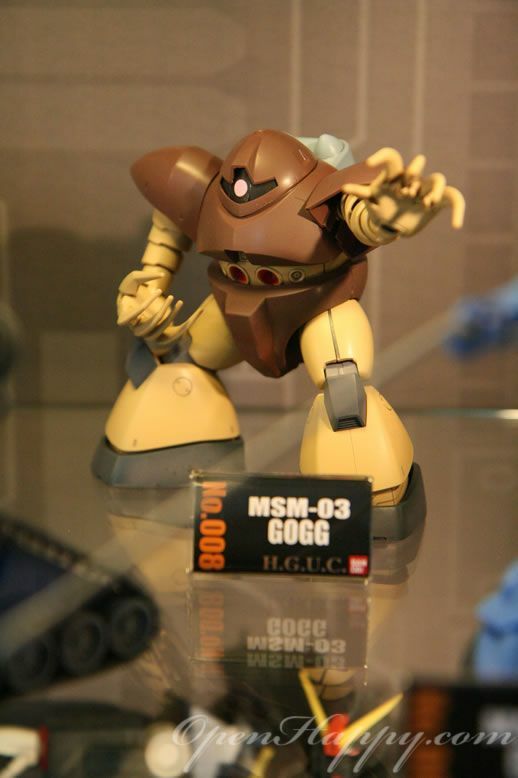 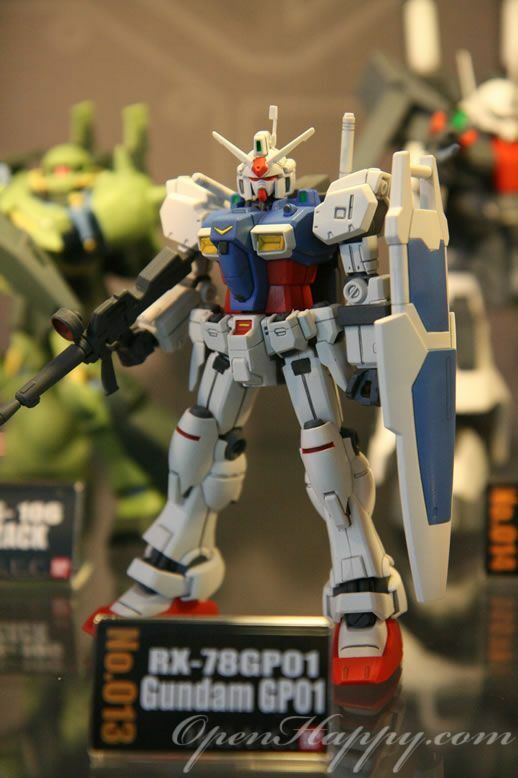 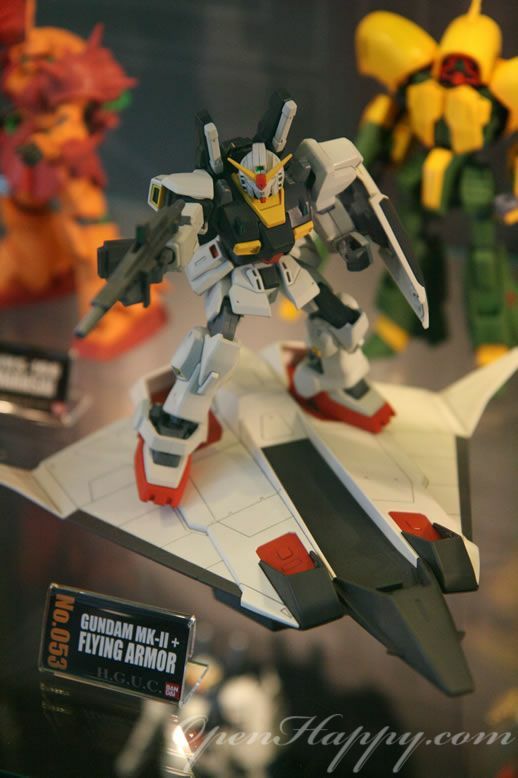 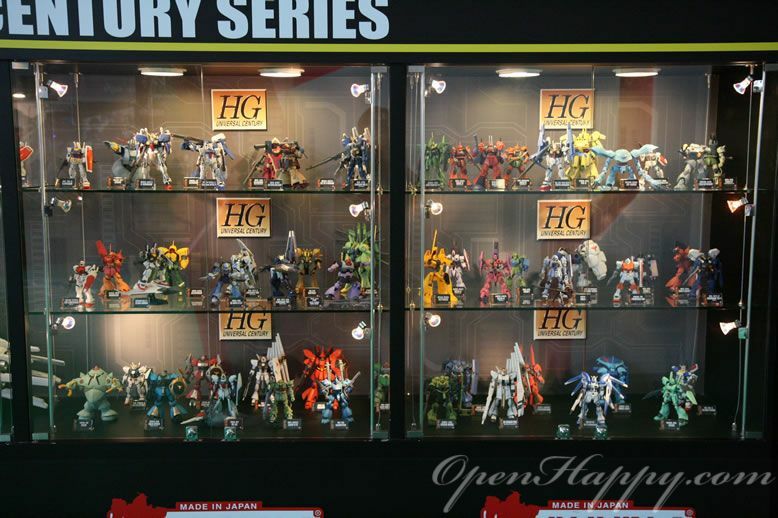 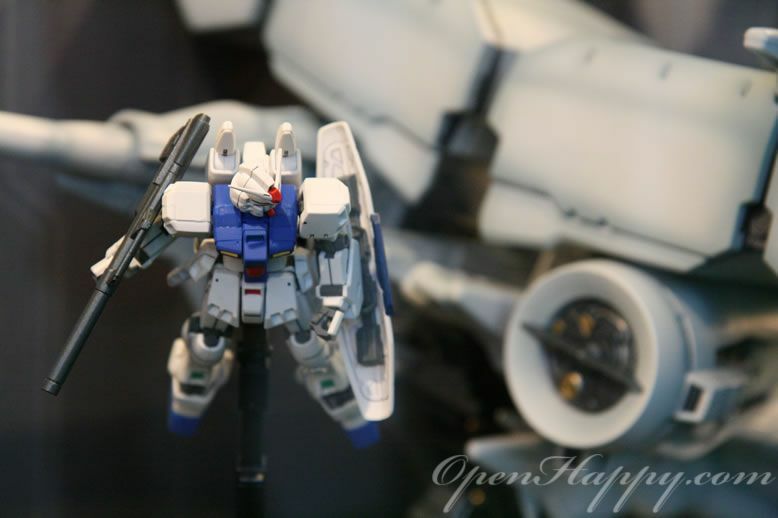 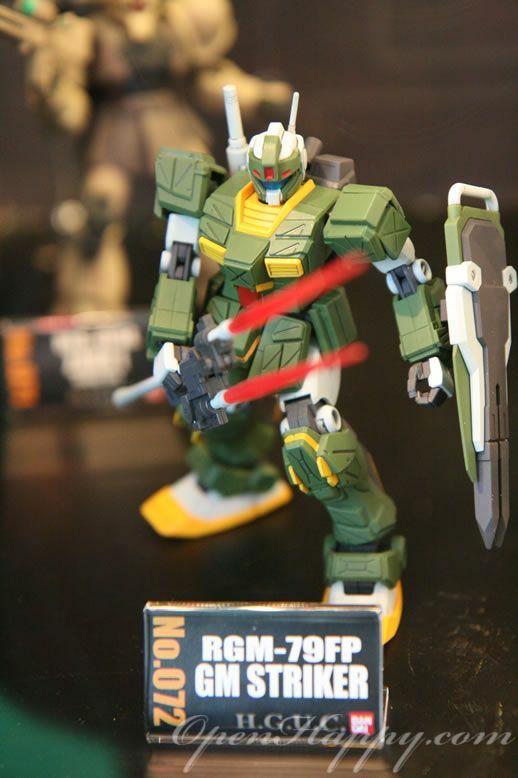 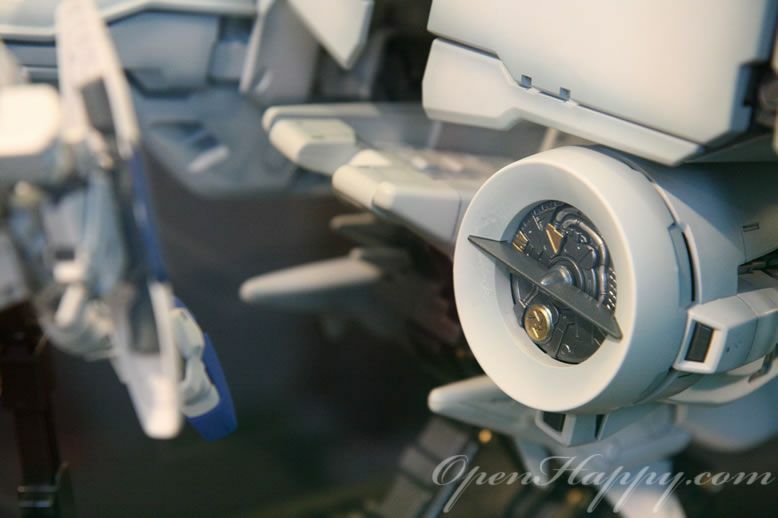 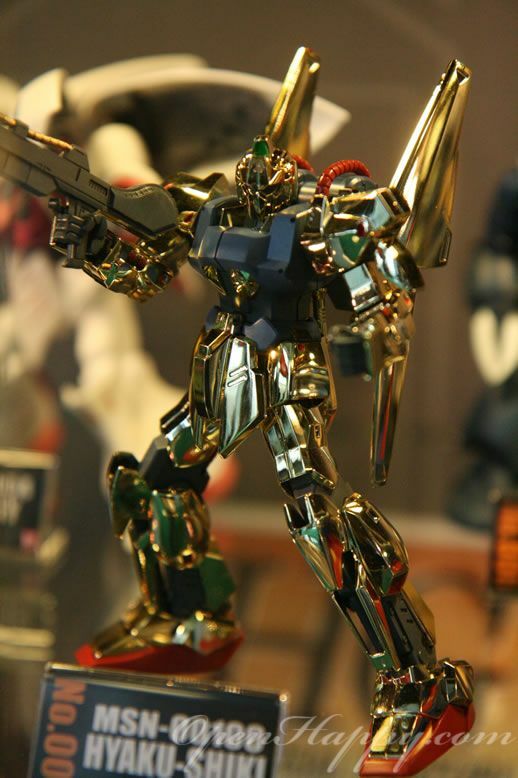 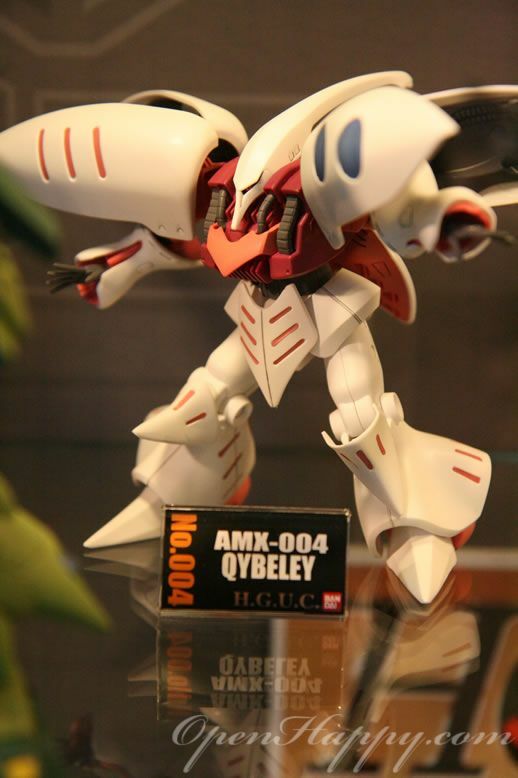 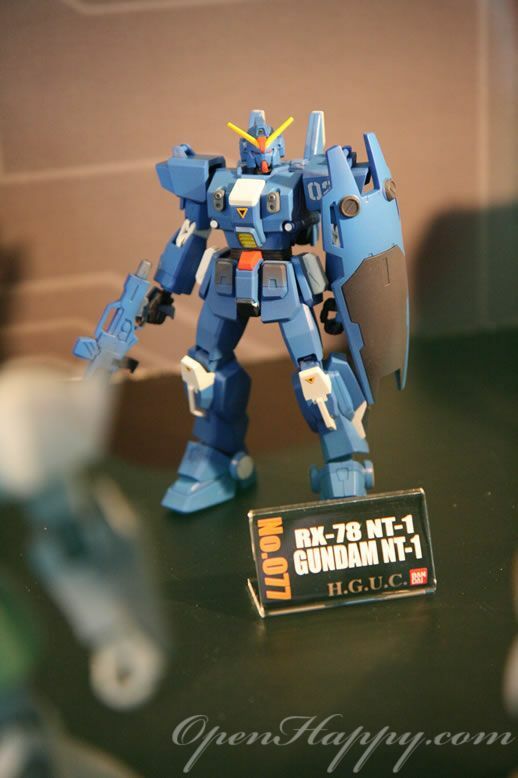 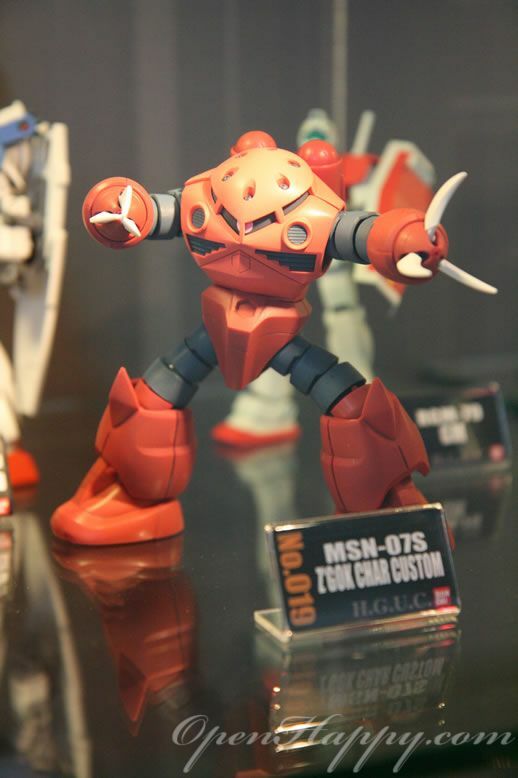 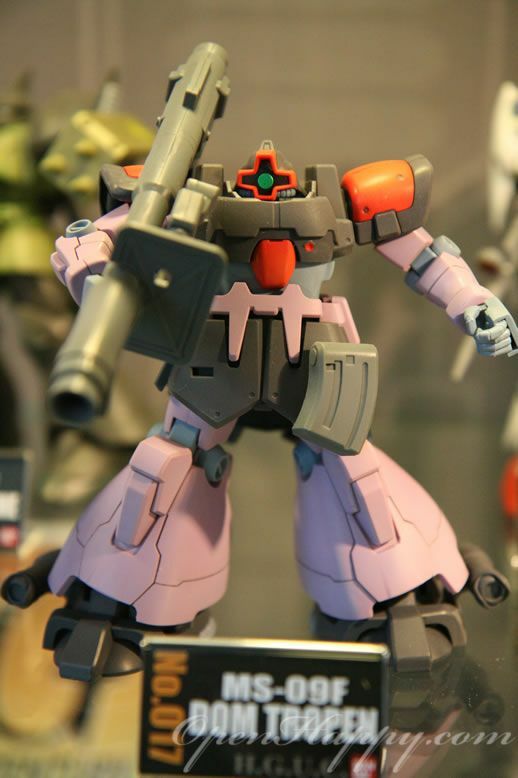 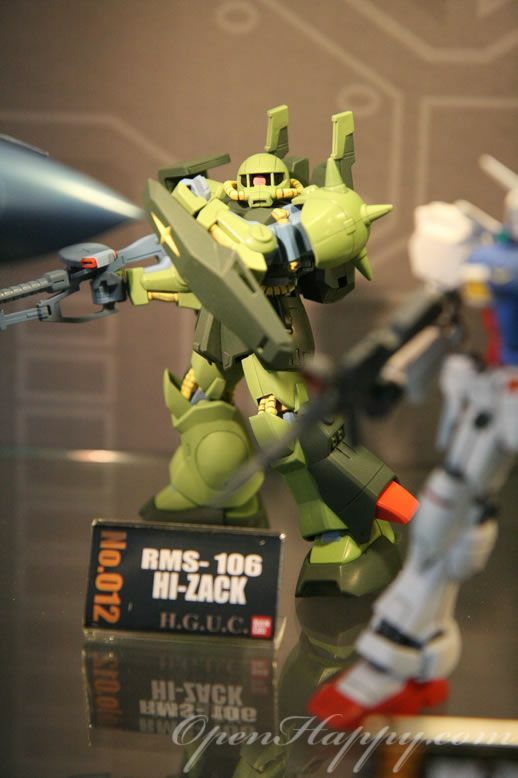 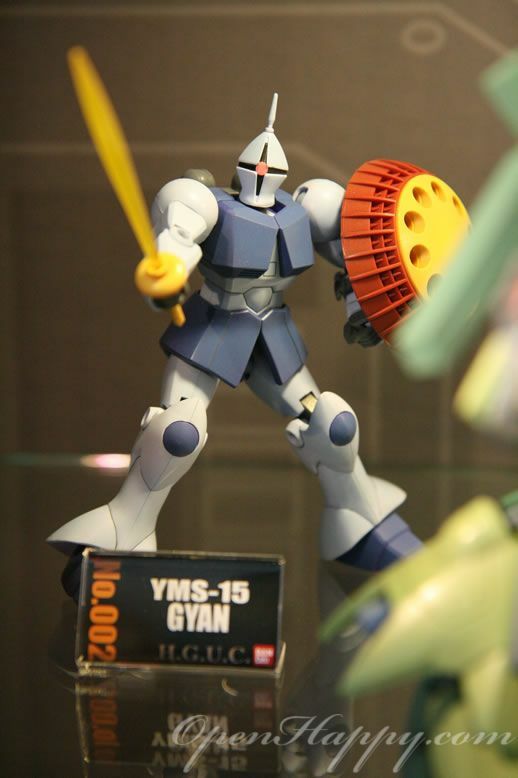 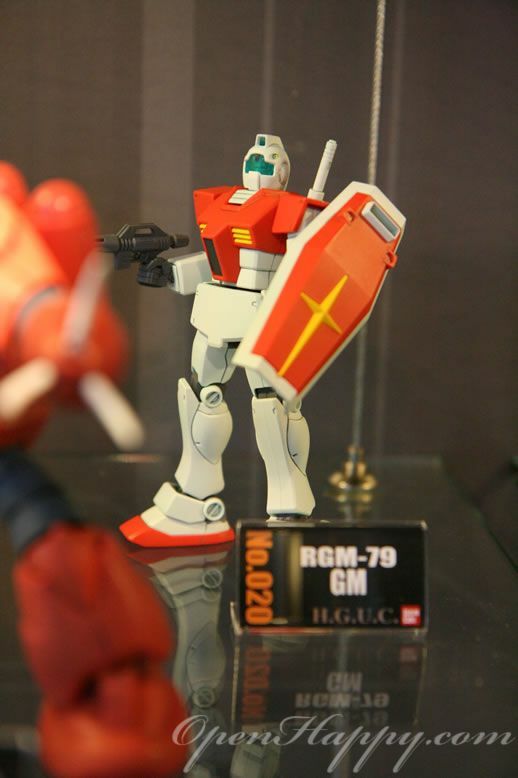 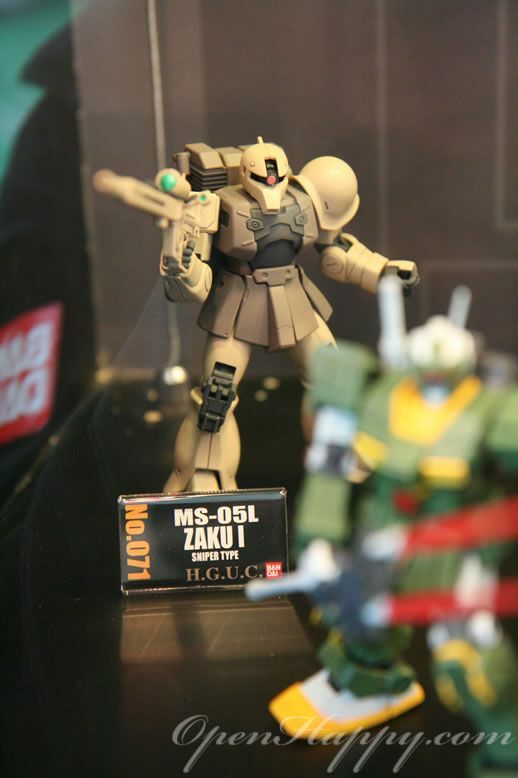 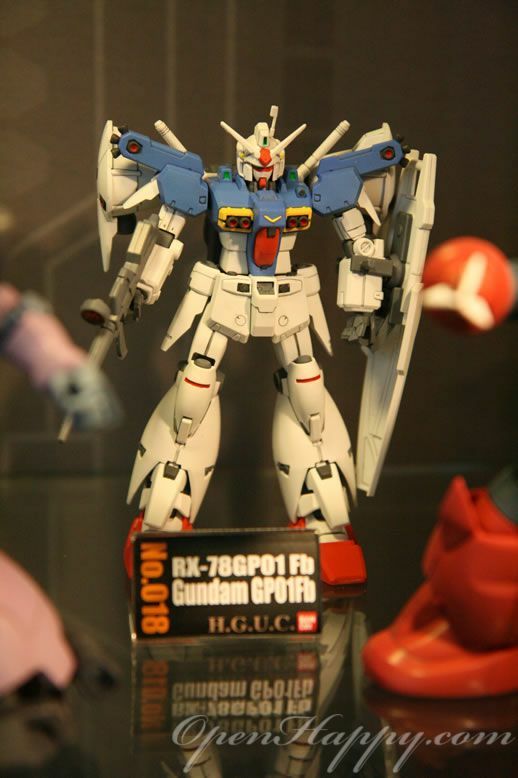 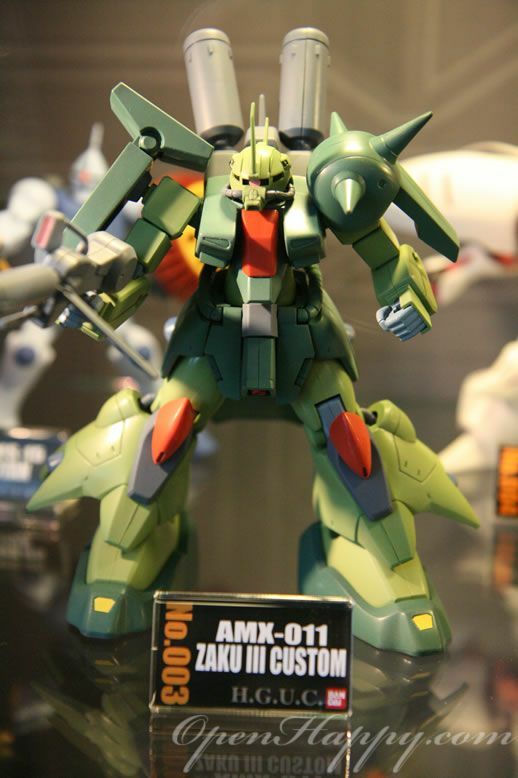 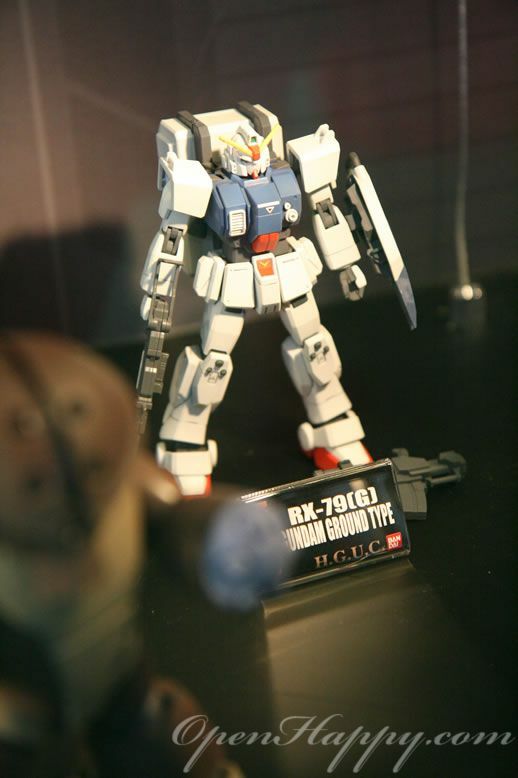 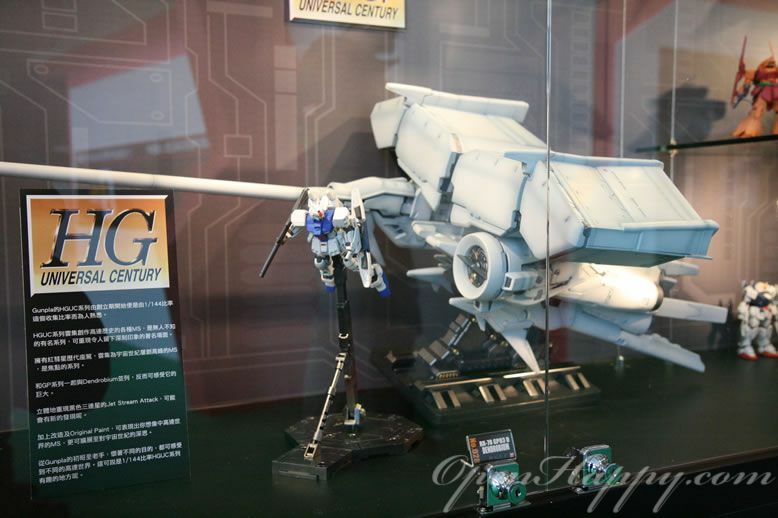 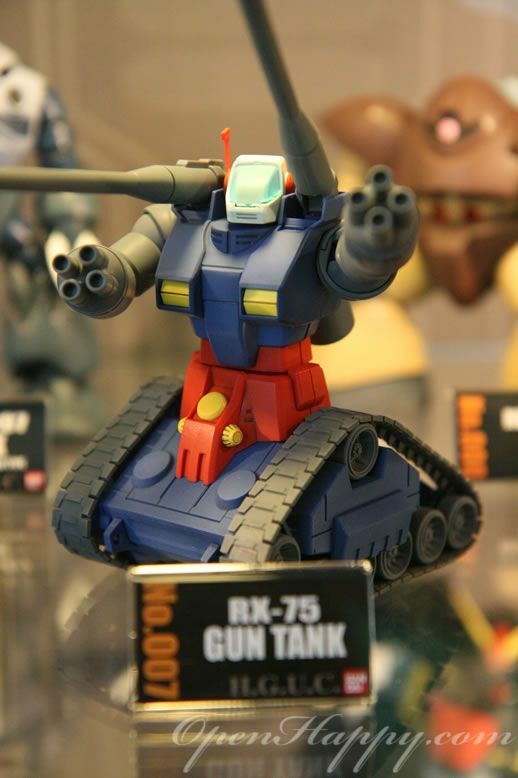 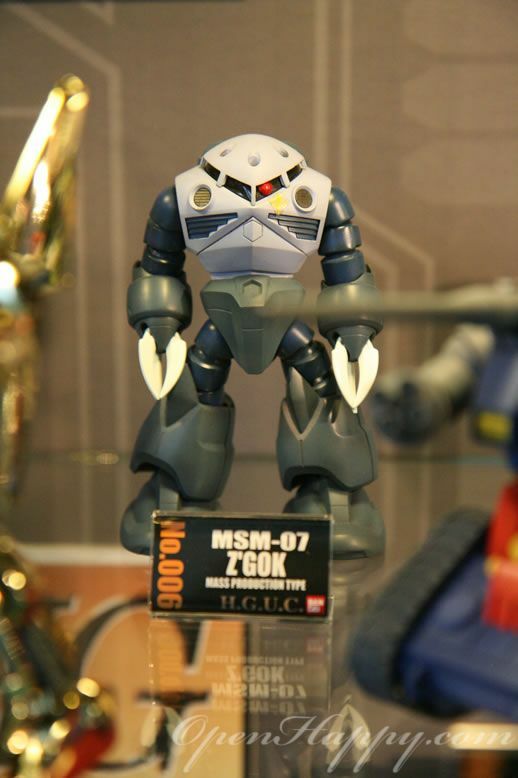 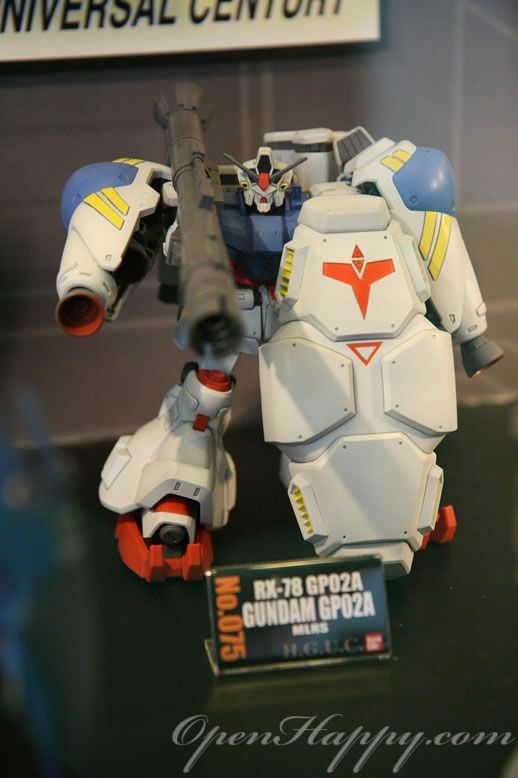 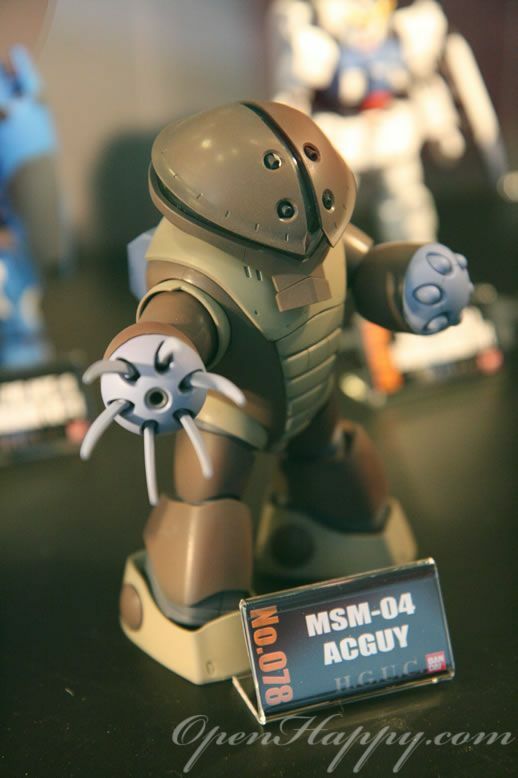 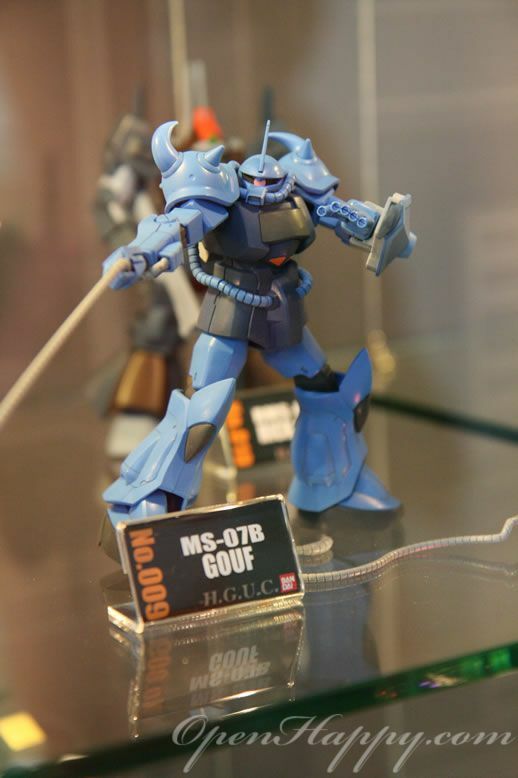 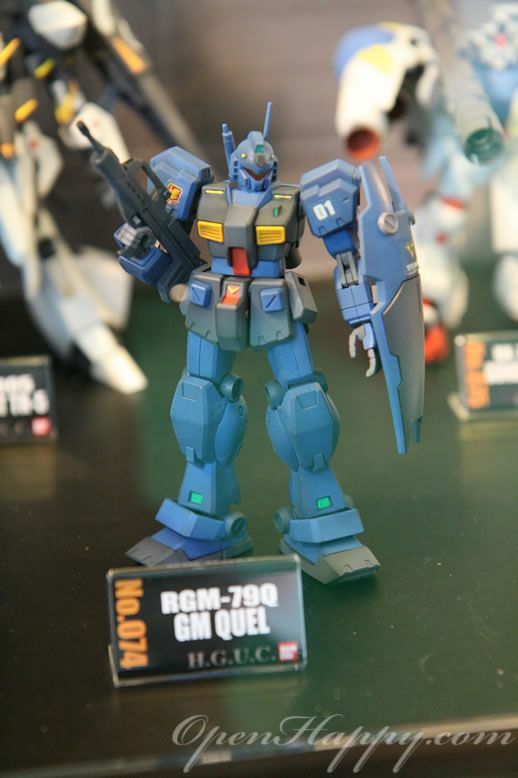 Here is how some of the HG UC models are displayed. 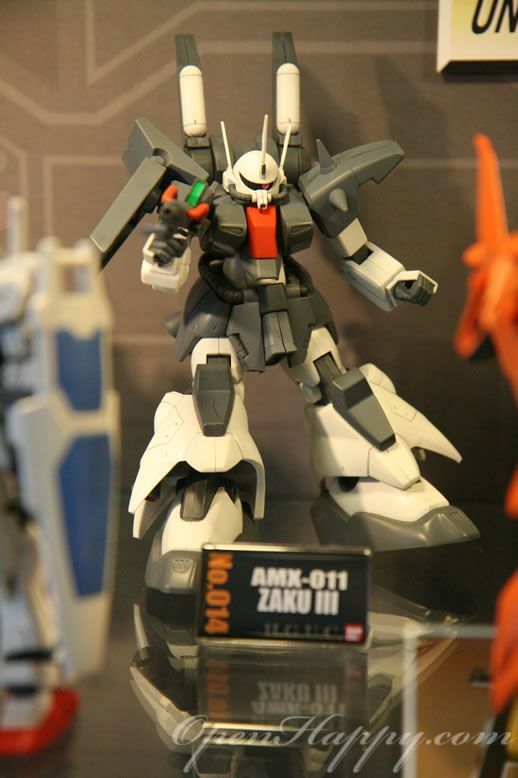 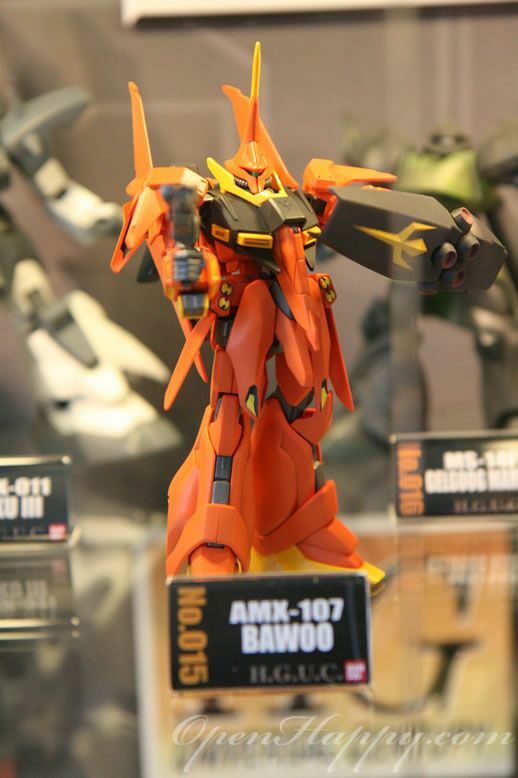 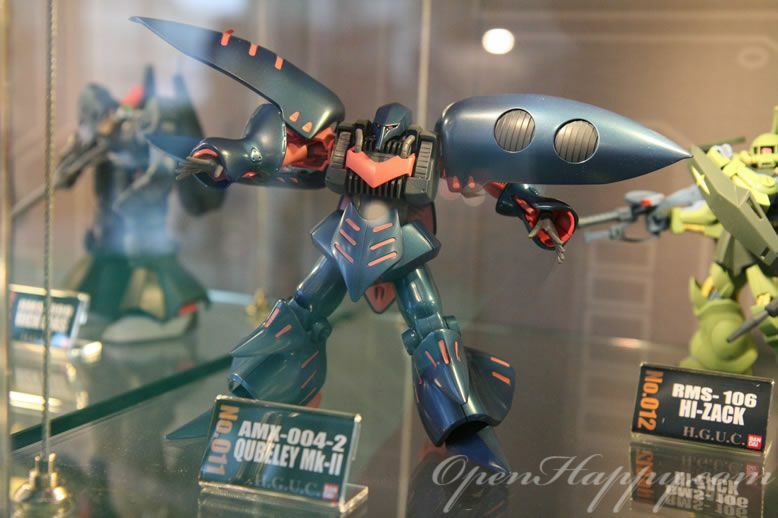 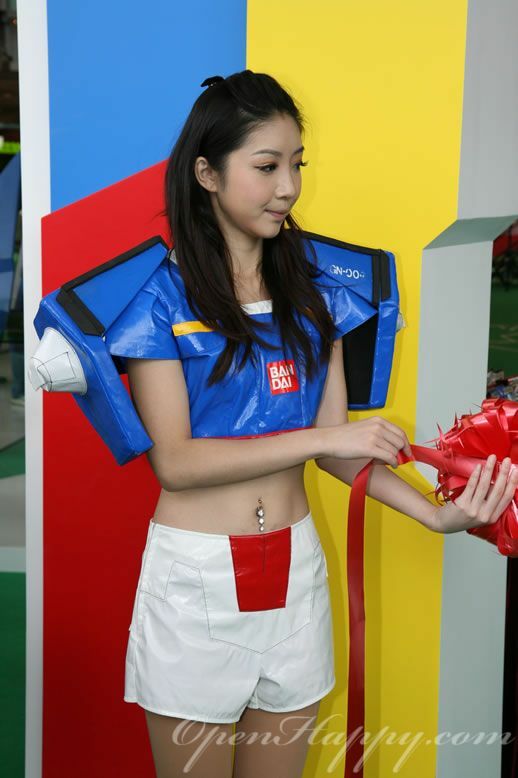 There is also a center display for Masked Bakuc with competition models display in the front. 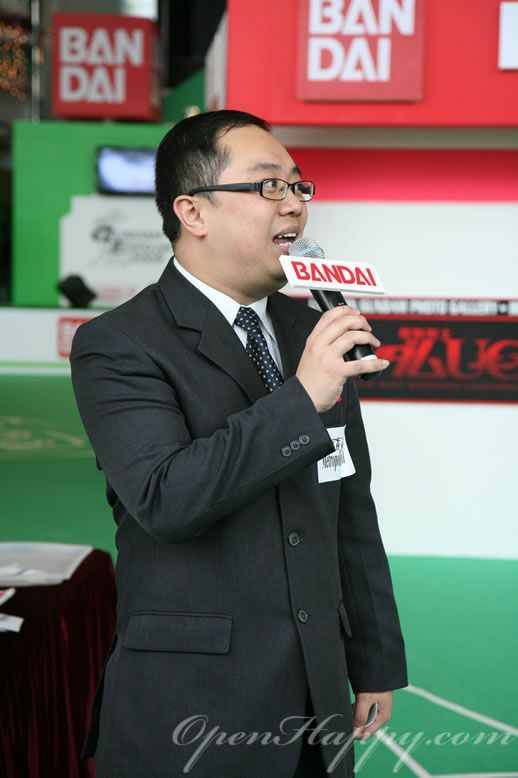 Finally, the opening ceremony is about to start. 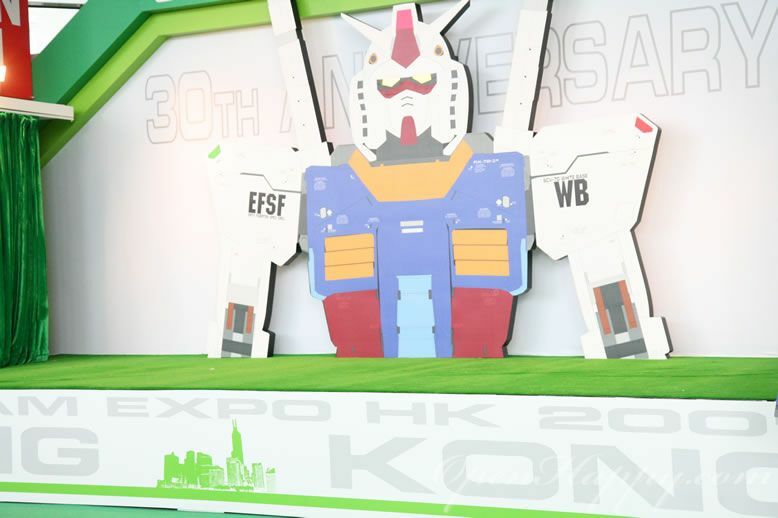 A warm welcome from Mr Thomas Kong. 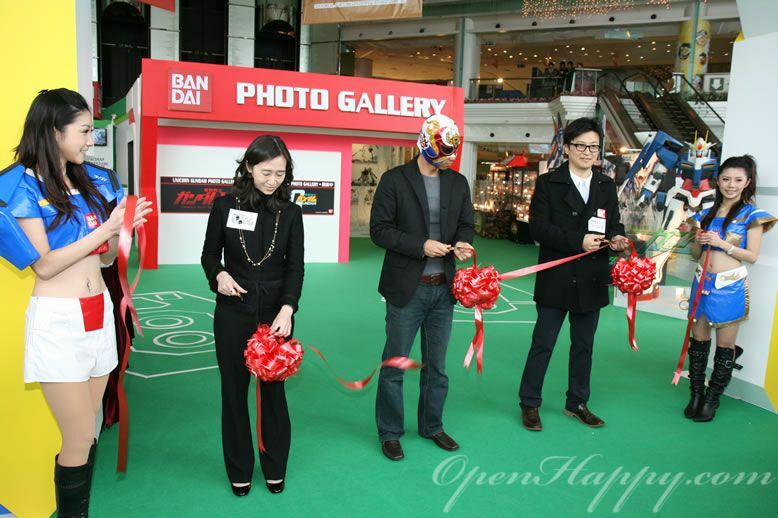 The image girls are holding the "ribbon". 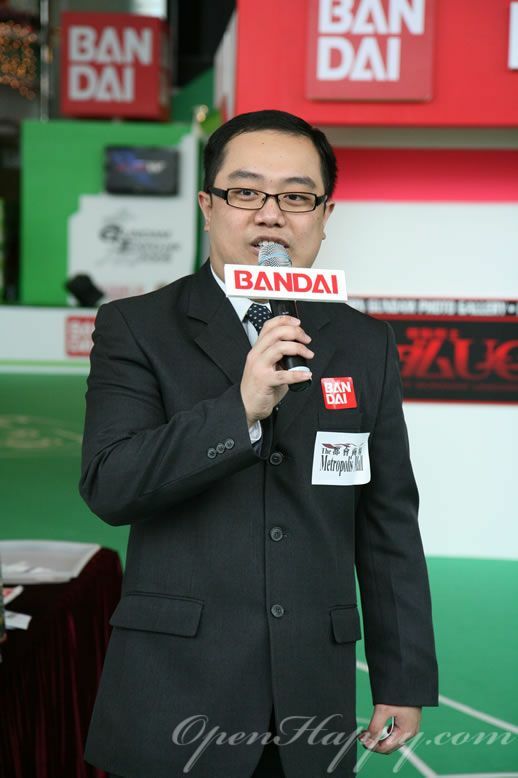 Oh wait, Mr Bakuc himself is here from Japan. 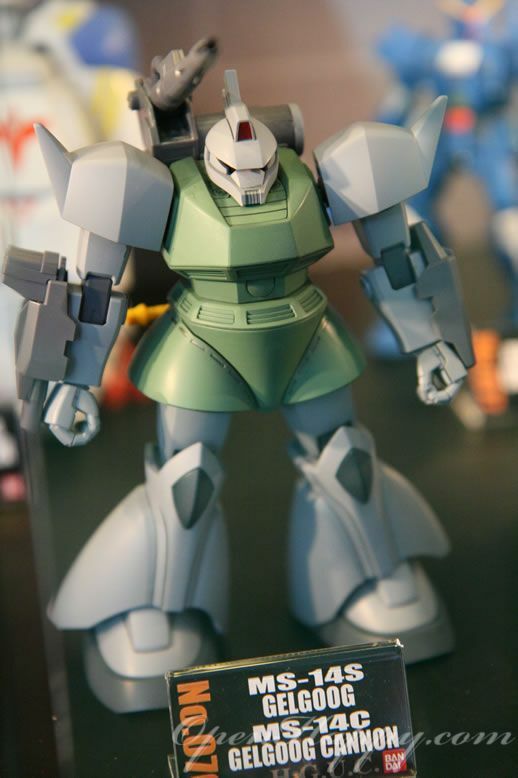 He wants to make sure it is lady first.